Styled with anna pant and huet t-shirt . The Cecile is a feminine take on classic menswear. The Japanese fabric lends a beautiful drape to the straight cut. Oversized fit (even when ordered a size down - I am usually a medium and ordered size small). Love the classic masculine cut. Perfect with a T shirt and jeans or over a cozy turtleneck. 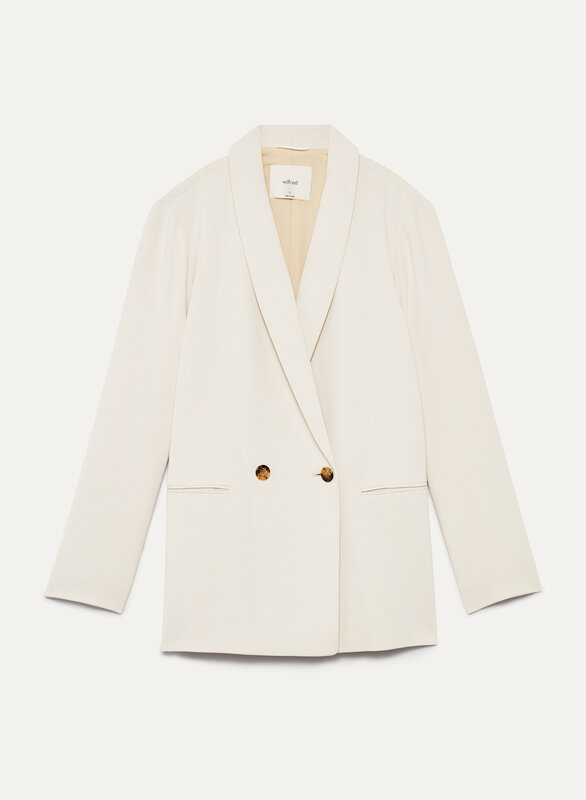 Although this blazer is supposed to be soft and flowy, it is very unstructured around the shoulder area. Totally sophisticated. Love the styling and fit. Recommend sizing down.